"Wrap yourself in beautifully tailored comfort while you enjoy the luxury of convenience from this perfectly poised location." Sundrenched Delight Meets Courthouse Convenience On Rhodes Street. Start your day with morning sunlight from the east-facing balcony and in the welcoming breakfast room, while the evening glows with dazzling views of sunsets in the living room as well as from a second balcony facing west. All of this a natural gift of the thoughtful design of this boutique building with only eight residences at 1423 Rhodes Street. Step inside this 1,383 square foot third floor corner unit — windows along the south wall bathe the kitchen, dining and living room in natural light. Recently updated and upgraded hardwood floors run throughout the apartment. 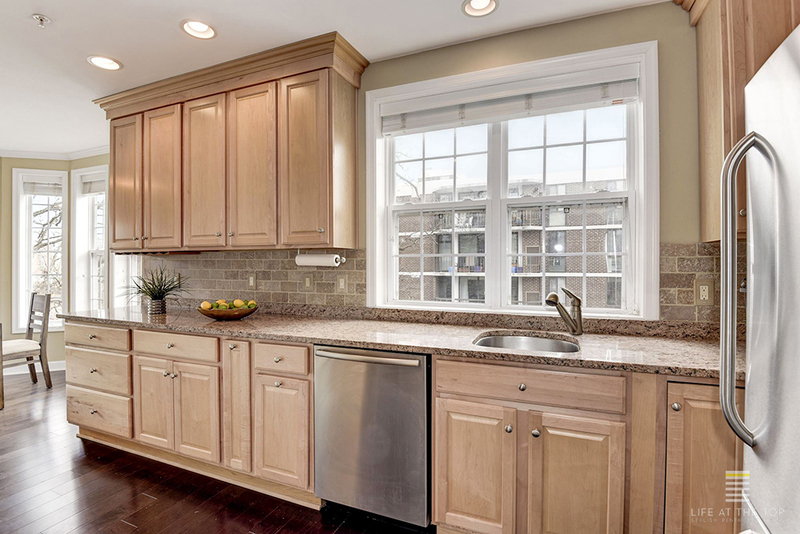 In the kitchen, generous maple cabinetry, granite countertops and a travertine backsplash provide the perfect accompaniment to the suite of professional grade GE stainless steel appliances including a gas range. The living room is graced with a large gas fireplace and handsome moldings. The balcony runs the full width and is accessed by a full lite door to preserve the airy feel. The dining room features custom industrial shelving that adds a modern vibe to the space. The master bedroom provides plenty of space for a king-size bed, and the ensuite bath includes a separate tub and shower. A large walk-in closet completes the comforts. A second bedroom also features a full bath and abundant closet space. A Very Special Building: Secure, Private, Spacious and Friendly. With just eight residences, 1423 Rhodes Street provides a secure and private atmosphere including a controlled access lobby and underground parking. 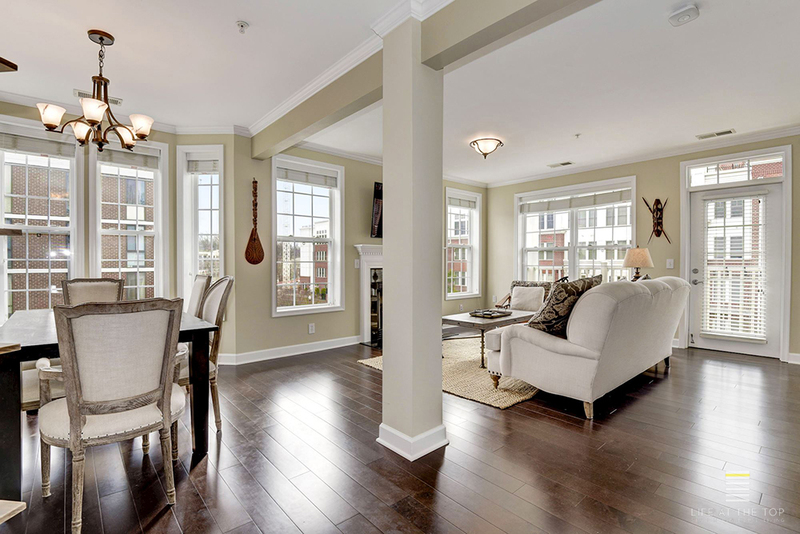 Residents enjoy well maintained public spaces with luxurious finishes, just 4 blocks from the Courthouse Metro. Step Out To Everywhere You Want To Be. Rt. 50 is right there making commuting a snap. Minutes away are historic Georgetown, the Beltway, and 395. It’s a short metro ride to Washington's business corridor, the Capitol and Ronald Reagan National Airport. It’s a short walk into Courthouse and Clarendon where tons of shops and restaurants await including Ray’s The Steaks, Me Jane, Chez Manelle and Fireworks Pizza. The neighborhood is also complemented by Whole Foods, the movie theater and multiple gyms, coffee houses, shops and yoga studios. It’s all at your doorstep!